This relatively small, fiece raptor (bird of prey) is reasonably common in the greater Samford district, but is not often seen. It is an ambush predator: usually waiting on a concealed perch for a chance to launch at unwary birds, which it takes mainly from trees and shrubs. It occurs mainly in woodlands or open forest, including partly cleared areas and acreage. 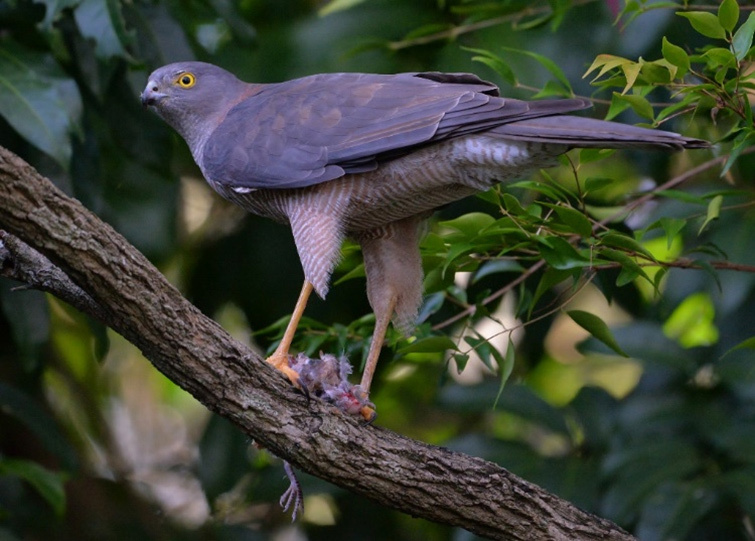 As with other raptors, its presence within vegetation may be given away by being mobbed noisily by other birds (such as various honeyeaters, crows and magpie-larks). The plumage is grey-brown above, with a rufous collar, and rufous and white fine barring below. 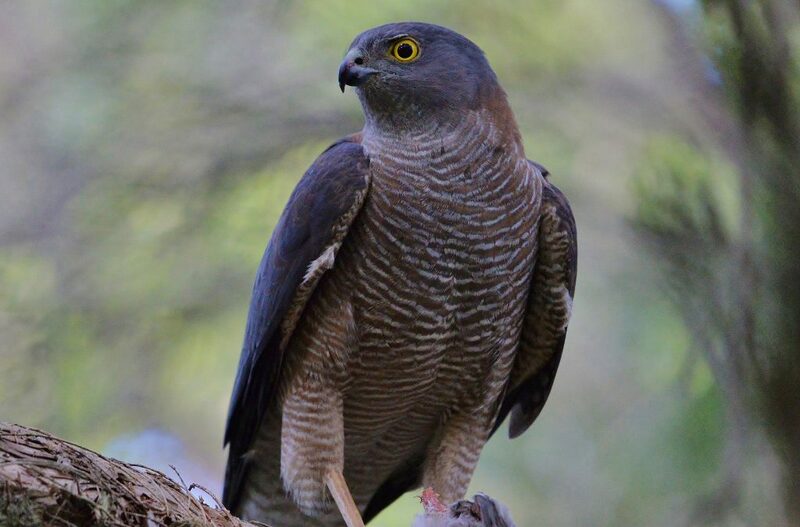 This sparrowhawk can be distinguished (with difficulty) from the very similar, but larger, Brown Goshawk by the square cut (not rounded) tip to the tail and more slender yellow feet with an elongated middle toe. 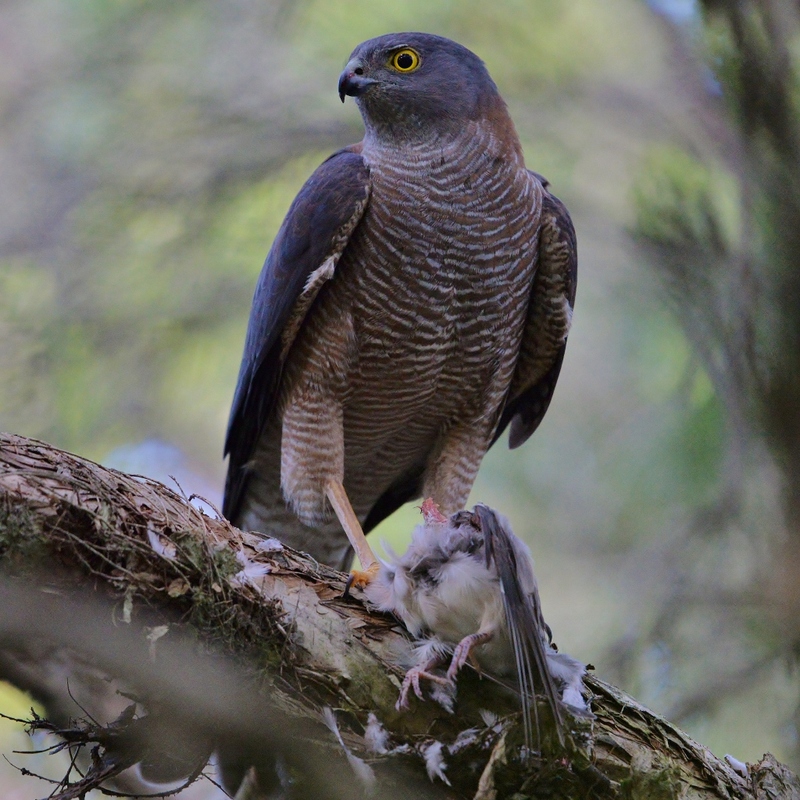 Females sparrowhawks are much larger than males.